Pack your bags, the boarding pass is printed, sunglasses are on the table, shoes are at the front door, but WAIT! I seem to have forgotten some things, like an extra pair of undergarments, clothes…OH and the fact that I just can’t pick up and run like OJ (the one that we thought was normal) in the airport. Traveling has become daunting and honestly isn’t as fun as it used to be, said hundreds of MS patients. I know we laughed a bit in the podcast, but jumping on a plane, train, or in a car requires far more planning and preparation when you have a disease that requires so much attention. We wanted to share personal accounts about what travel means to us and shed some light on things to think about as you go into this Spring and Summer travel season. Below you can download a helpful checklist that may help as you pack for your travels. Yes! We want to inundate you with tools that will help! Pardon my sarcasm, but I think a majority of us are still feeling a bit chilly and hoping for some consistent warmer temps — although, many MS patients suffer from terrible, downright unbearable, heat intolerance! 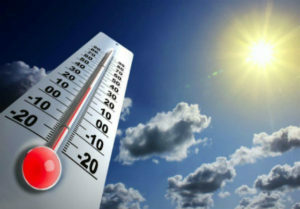 How does heat affect your MS? I can speak for myself and tell you that I’d rather go on an Alaskan cruise rather than book a trip to the Carribean for Spring break! No, my heat intolerance isn’t fun, and unlike many people I know, I am dreading the summer months. As you know by now, there are over a million people (worldwide) who have been diagnosed with MS. Each one of us is affected differently; this certainly isn’t a one size fits all illness. You may love the beach and never face any challenges with 80-degree weather. That’s fantastic if you can enjoy each season and its beautiful weather. Just know that there are many of us glued to our AC from May-October, depending on where you live. 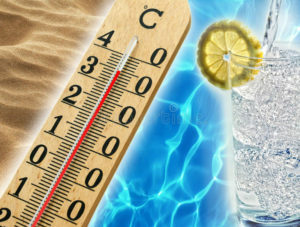 Read and learn about the various strategies that will help you in those times of temperature sensitivity. Your symptoms may just be that, symptoms. Most neurologists will tell you that the feeling is temporary and you have not caused damage by being in the sun. Take a look. Again, Multiple Sclerosis a disease that will leave you feeling puzzled, which is why it is important to educate yourself and become familiar with the various types. We posted a video about the types but here is a link that will go into more detail for you, so take notes. Additionally, I would like to show you an example of an amazing young lady who was a high school competitive runner, and how becoming overheated affected her. She is quite an inspiration! Drop us a line and tell us what you think we’d love to hear from you! Watch as Dawn discusses the different types of MS. And don’t forget to subscribe to our YouTube channel: myelinandmelanin! Until next time — love & light. Listen to Episode 7 of Myelin & Melanin! Traveling and dating with MS is no walk in the park — it’s often fraught with anxiety and hassle. To put it simply, MS is excess baggage. 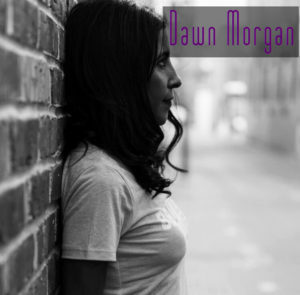 Join us as we discuss some of our experiences and musings on traveling and dating with MS. I was watching the Oscars a few weeks ago, and one of the reporters on the red carpet asked Lindsey Vonn if it was easy being at the Oscars, walking the red carpet. She replied with a resounding “NO.” Then the reporter said, “You’re an Olympic athlete, I can’t believe you’d be nervous.” Lindsey so eloquently said, “Yes I am, it’s easy to go fast.” She then went on t o say being there was a bit out of her comfort zone, albeit exciting. For those of you unfamiliar with Lindsey, she’s a 4-time World Cup champion and won an Olympic gold medal in 2010. Needless to say, she has dominated the ski slopes for quite some time. That absolutely rings true for a majority of us in the daily rat race. Even daylight savings has to get in and push ahead on the fast train. But my question is “why”? Why try to rush through daily life? Shouldn’t we be taking a pause without feeling guilty? Aren’t we more productive and less likely to make errors when we take our time? How does this relate to people with MS? We know that mobility can pose a challenge to those that have gait issues. Not to mention spasticity, which makes muscles feel like 1,000-pound weights at times. 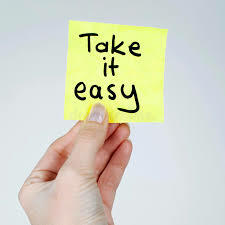 Becoming too tired as you rush through your day can pose problems and possibly spin you into a whirlwind — or even worse, lead you to symptoms going awry. I think in order to feel better about checking things off of your list, it is important to remember to rest. SLOW DOWN. I think you may find interest in how many view life in the slow lane. The article below goes into more explanation on the importance of slowing, resting and taking breaks. “It’s easy to go fast”, isn’t it? 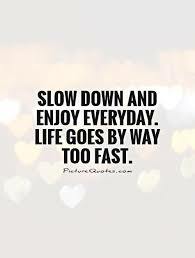 What are some things that you do to slow down? 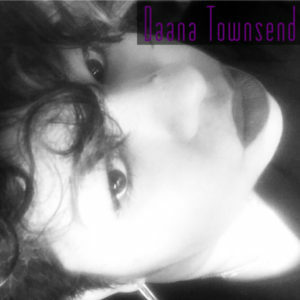 Tune in Friday to our next podcast — Episode 7 — Excess Baggage: Traveling, Dating and MS. 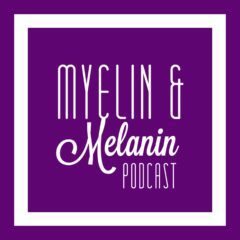 Listen to Episode 6 of Myelin & Melanin! Join us as we address some of the everyday challenges and issues that people with MS and other disabilities face. 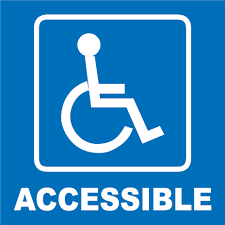 We’ll touch on the ADA, accessibility, reasonable accommodations, FRUSTRATIONS, and other issues. Check us out, listen and subscribe to the podcast on iTunes or SoundCloud. Also, follow us on Facebook, Twitter and Instagram @myelinmelanin to keep abreast of our latest goings on! We also have a new YouTube channel. Search “Myelin and Melanin” on YouTube to find us — check us out and subscribe!